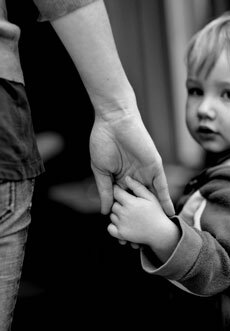 Social workers and health visitors are among the professionals starting a new course at the University of Stirling today, to help them give the very best support to children and families at risk of abuse. The postgraduate course in advanced practice skills in child welfare and protection has been developed by the University of Stirling and NSPCC Scotland to allow professionals to develop a high level of skills while continuing to work directly with children and families. Brigid Daniel, Professor of Social Work in the University of Stirling's School of Applied Social Science, said: "We are delighted to be collaborating with the NSPCC to give this opportunity to practitioners to enhance their skills in working with children and families. Support from skilled and empathic practitioners is fundamental to improving the lives of children and families who are struggling. We also know that children and their parents really appreciate it when the practitioners they meet spend meaningful time with them." With more than 2,600 young people placed on child protection registers in Scotland last year and the NSPCC estimating that nearly one in five secondary school children in the country have been abused or neglected, the charity says the course will fill a very real need. Lucy Morton, manager of NSPCC Scotland’s Glasgow service centre said: "More and more evidence is emerging about how we can help children thrive, even where families are going through the most difficult of circumstances. But high case loads and organisational pressures make it very hard for experienced professionals to keep up-to-date and learn new skills and practices which have been shown to make a difference to children’s lives." "It’s the ability of a frontline worker to support families struggling with drugs, violence, alcohol or mental health problems and to recognise and build on the families’ strengths that will change a child’s life for the better. So there is an urgent need for professionals to continue to develop practical skills in working with families with complex needs throughout the whole of their career. "Our course with the University of Stirling is the first in the UK to fill this gap between theory and practice. We know that child protection isn’t about one individual or one organisation, so the course is open to anyone who comes into contact with children and families at risk." Children’s Social Work Statistics 2012-13, Scottish Government - http://www.scotland.gov.uk/Publications/2014/03/8922/3. Child Abuse and neglect in the UK today, NSPCC - http://www.nspcc.org.uk/globalassets/documents/research-reports/child-abuse-neglect-uk-today-research-report.pdf. We are a large inter-disciplinary unit, combining teaching and research interests in Sociology, Social Policy, Criminology, Social Work, Dementia and Housing Studies and a number of specialist centres, including the Dementia Services Development Centre, WithScotland and the Scottish Centre for Crime and Justice Research. In REF 2014, over three quarters of our social work and social policy research was rated as either world-leading or internationally excellent, significantly above the 69% UK average in the Unit of Assessment. The impact of all of our research in this field, in terms of its reach and significance, was judged to be either world-leading or internationally excellent. www.stir.ac.uk/social-science. NSPCC Scotland provides preventative services to stop child abuse before it starts. Our vision is to end cruelty to children in Scotland and we make a difference for all children by standing up for their rights, listening to them, helping them when they need us and by making them safe. NSPCC Scotland runs projects and services across Scotland to help vulnerable children and their families. We also provide ChildLine a free, confidential 24-hour helpline and online service for children and young people as well as a UK-wide helpline for adults who are worried about a child or want advice. If you have concerns about a child or young person, you can call the NSPCC on 0808 800 5000, text 88858 or visit www.nspcc.org.uk. Children and young people can contact ChildLine on 0800 1111 or visit www.childline.org.uk. For further information, please contact Harriet Hall, NSPCC Communications Manager for Scotland, on 07760 272021.